Roti is like bread for North Indians. A variety of flours are used in different areas to make rotis. 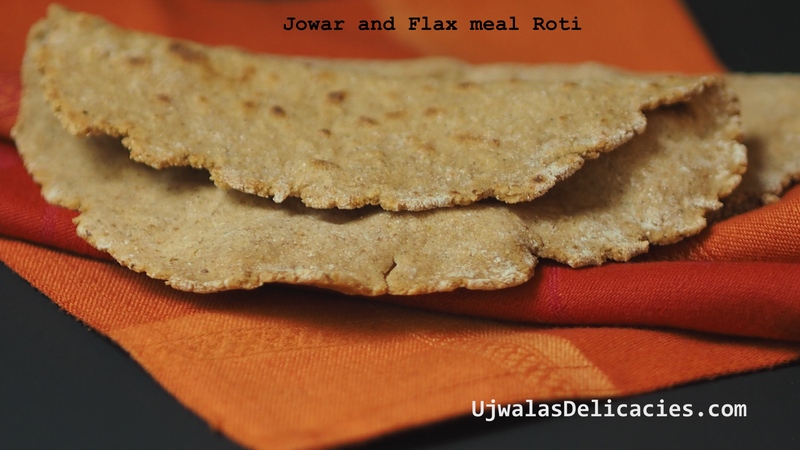 Jowar roti is consumed every day in Rajasthan state and northern Karnataka. Since jowar flour is gluten free, dough tends to tear off when rolled with pin. Traditionally they are made by pressing with fingers. Only experts can make big sized roti’s. You can tell I am not an expert by my roti’s smaller size. If you are like me who don’t care about size and perfection, then go-ahead and start making. You really don’t need any skill to make these. In-fact I took small-sized dough balls and rolled with pin. After cooking roti on hot tawa/griddle, I grill them. Grilling roti makes them soft and they stay soft for long. Using a grill is optional. If you have gas burners, placing 3/4th cooked roti on flame make roti fluffed and soft. I have soft-top stove. So I place something like a grill. I cook roti’s both sides till raw color is gone on griddle, then place on grill on high heat. Watch instantly fluffed roti. You will understand your griddle and stove after making a few. Only then your roti’s come out perfect. Don’t worry about perfection till then. Mix Jowar flour, flax seed powder and salt. Make sure there are no lumps. Add boiling water slowly while you mix to make a dough. Keep aside for 10 mins. Make golf size balls. Add ½ cup first. If dough is hard add little by little water and kneed. Make small sized balls. Keep aside. Dip ball in wholewheat flour. (can substitute with All purpose flour). Heat thick bottomed griddle. Place pressed roti on griddle. For soft and puffed roti, place a grill on stove. Set on high heat. After frying on griddle both sides and you don't see raw color anymore. Now place on grill while still on high heat. 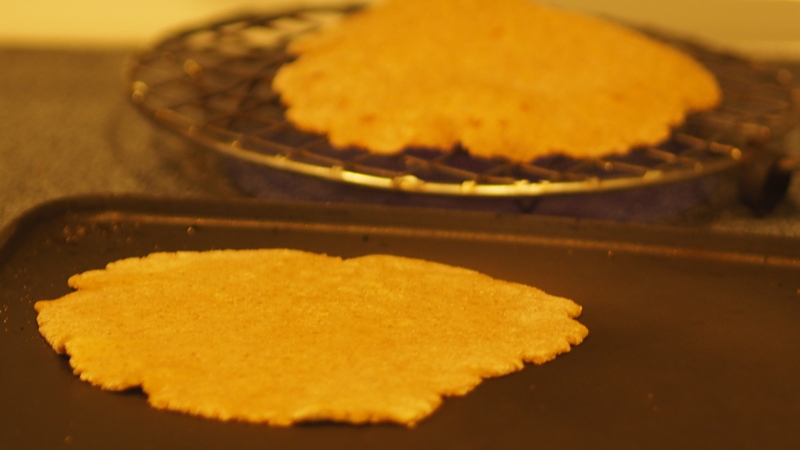 Each side should cook about 30 seconds leaving the roti puffy. Roti's puff instantly. Don't worry if they don't puff. No need to add oil. Remove and serve hot with Saag.